Timing is inevitably one of the factors people think about as they decide when and where to travel. If you're getting ready to embark on a journey — whether it's across the country or just to a neighboring state — there are things you can do to make smart time-related choices. Sitting in traffic for hours can be enough to put a damper on even the most highly anticipated trips. You can avoid vehicular slowdowns by determining whether your routes might be especially frequented during certain times of the year versus others. For example, if you're planning on driving down a major interstate that borders a coastal route, you might encounter many cars full of people heading to the beach. It would be better to steer clear of them by taking that route during the off-season for beach lovers. In general, seasonal activities greatly impact the number of people traveling on roadways or using planes, trains, and buses. Routes that take people to ski resorts will typically be more frequented in the winter versus the summer, just like individuals flock to seashores when it's warm. Even your best efforts to avoid time-related traffic may fall short. That's why it's wise to plan some road-trip activities to stay entertained in the car or while traveling in another way. The best time for your U.S.-based trip may also depend on the timeframes surrounding whatever's on your itinerary. People head to California's Antelope Valley to see the Antelope Valley California Poppy Reserve and the seasonal wildflower bloom. The tricky thing is that the peak timing varies from year to year and can begin as early as February. 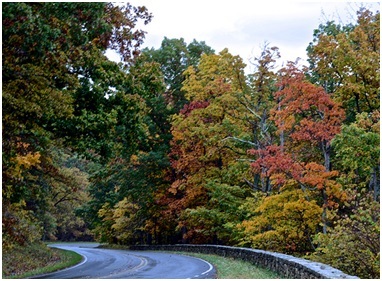 Also, many people go to Central Virginia's Skyline Drive to marvel at the vibrant colors of the autumn leaves. They're not equally splendid during each week of the fall season, making it necessary to research the conditions for the year when you want to travel and make your trip plans accordingly. You can usually go to state park websites and tourism board portals to get details on the best times to travel during a given year. Thinking about going to Florida for several days? Take a look at the college schedules first. Many students learn Orlando spring break tips and use them when figuring out how to enjoy fun in the sun and a break from the textbooks. Universities often have spring breaks happening throughout March, so that's worth keeping in mind as you pick travel dates. The month of December can also encourage college attendees to travel, especially because many of them often get a month or more away from campus around the holiday season. There's no need to feel like you absolutely shouldn't travel at the same time that the majority of college students take their vacations. However, it's worth keeping in mind that you'll likely have to expect larger-than-normal crowds. It's not always possible to plan the best time of year for a trip. Fortunately, though, these tips should get you off to a good start.